Bruce Lee’s teacher, Ip Man, master of Wing Chun Kung Fu, was so awesome that he’s now had seven movies made about him. Bruce was awesome, teacher Ip was awesome, and fight choreographer Yuen Woo-ping is awesome. And Michelle Yeoh (“Crouching Tiger, Hidden Dragon”) is awesome. Is “Master Z” awesome? It is less than awesome. But not bad. “Master Z” is about Master Ip’s last challenger to the throne of Wing Chun top practitioner—Cheung Tin-chi. He’s the titular Master Z. 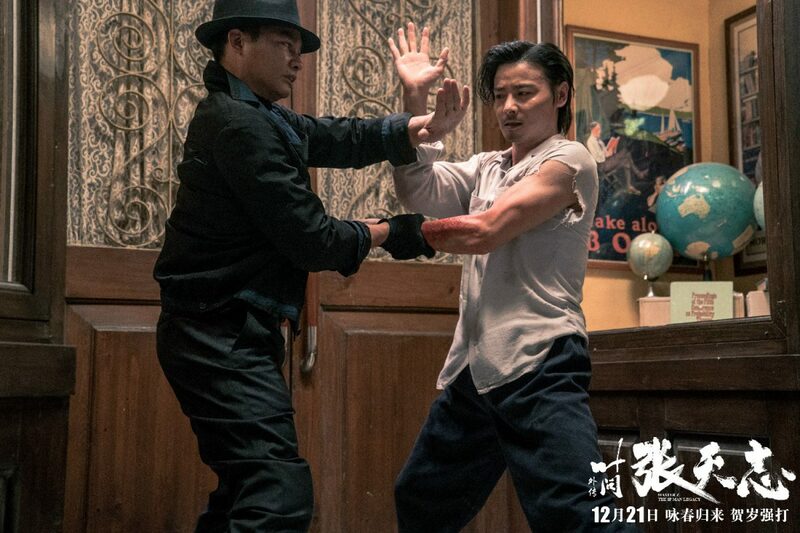 He was played by Zhang Jin in 2015’s “Ip Man 3,” about that particular challenge. Zhang here plays in, basically, The Further Adventures of Cheung Tin-chi. You get a fair amount of bang for your kung fu buck: decent Fu-fights, the classic scenes of the chopsocky genre, wherein, inevitably, large crowds of Hawaiian shirt-clad men run into either a brothel or a restaurant and proceed to gesticulate wildly with kung fu territorial threat/dominance displays, and then one quietly heroic man of greater alpha dominance (who would always prefer to be left alone) runs amok among them and dominates them. 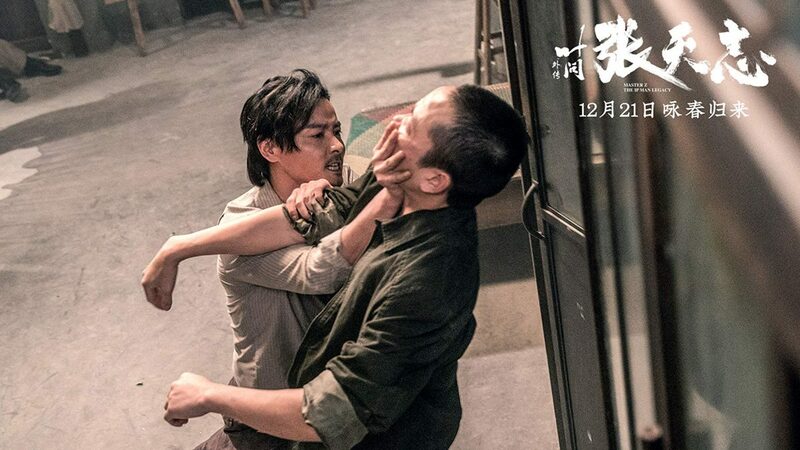 At the outset, Cheung Tin-chi, who got his hubristic behind handed to him by Master Ip Man, has decided to pack up his ego, run a grocery store, and quietly take care of his kid. His wooden Wing Chun practice dummy starts gathering dust. 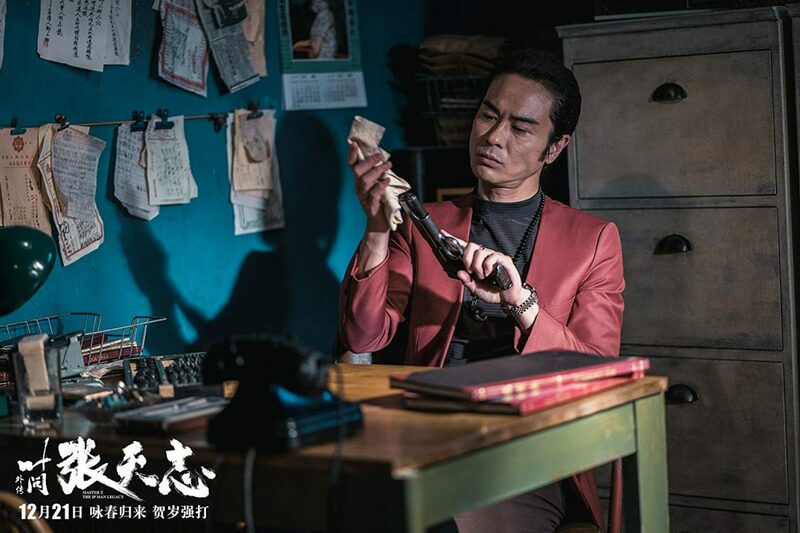 But one day, while minding his own business, he comes across a good deed to do: Two women—Nana (Chrissie Chau) and Julia (Liu Yan)—are being smacked around by a slick, ponytailed, suit-wearing drug dealer (Kevin Cheng) named Kit. Cheung Tin-chi prevents this smacking around and, instead, smacks around some Hawaiian shirt-clad men. This, however, immediately changes the local perception of Cheung Tin-chi from harmless storeowner to someone you clearly do not want to mess with. Slick ponytailed gangster man retaliates and saves face by burning down our hero’s grocery store. Mr. Ponytail is very concerned with his rep; he’s got a chip on his shoulder about being a small fry compared to his classier sister Kwan (Michelle Yeoh), who heads up the local triad gang but wants to stop being a bad person and go straight. But little brother Kit thinks the triads should be expanding their territory and get into drug dealing. 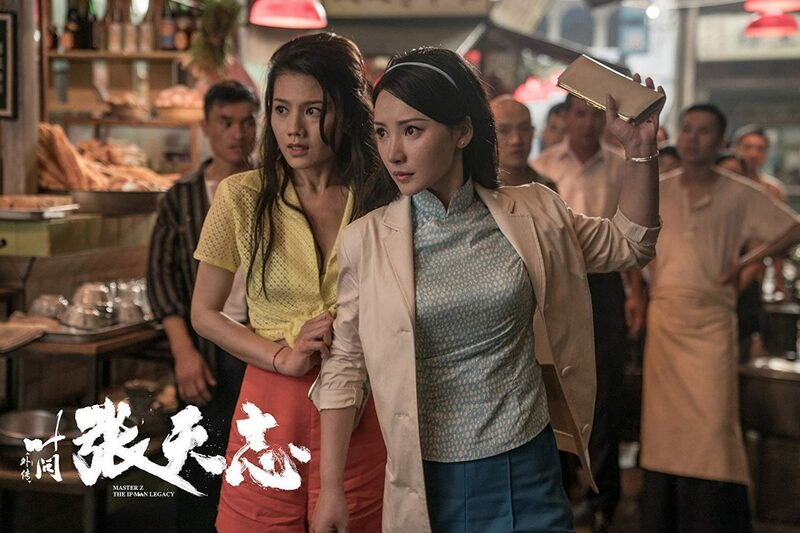 Then Cheung Tin-chi runs into Julia again after Kit burns down his store. 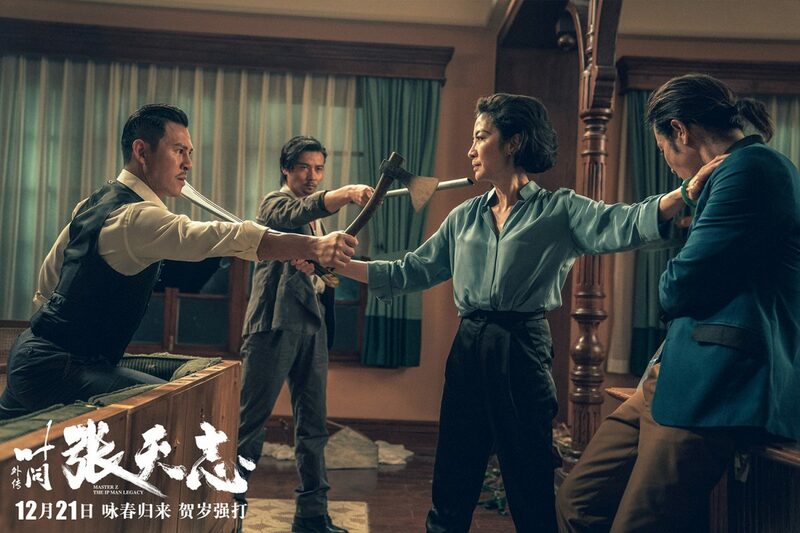 She offers Cheung Tin-chi and his young son, Fung, a roof over their heads, living with her brother Fu (Xing Yu), who’s a bar owner and not so shabby in the kung fu department himself. What will happen? Will the single Julia and single-dad Tin-chi find love? 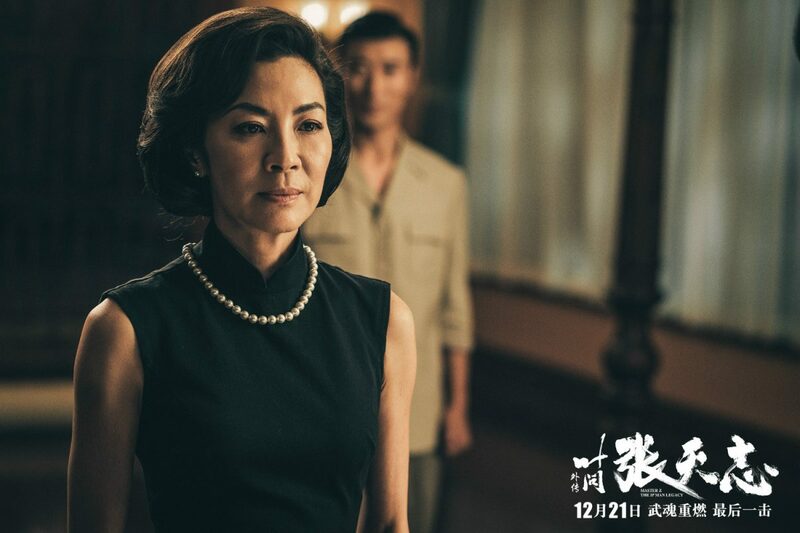 Will bad sister Kwan become a good person? Will stupid little brother Kit get smacked around some more because he’s so annoying? 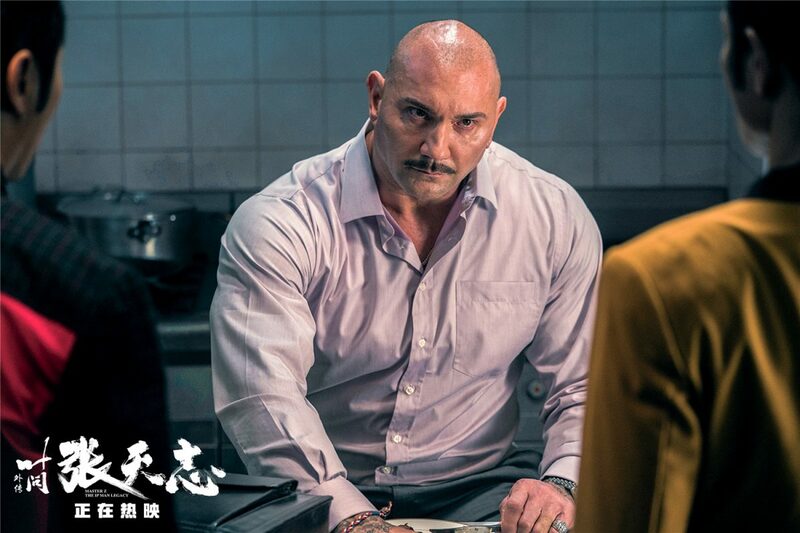 Will the massive American businessman and heroin magnate Owen Davidson (former World Wrestling Entertainment Inc. star Dave Bautista) also get a much-needed smackdown? 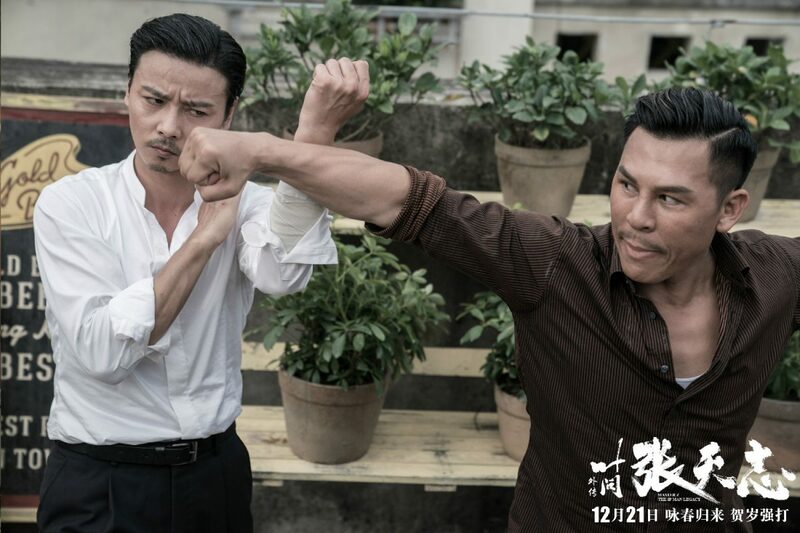 “Master Z: The Ip Man Legacy” is heavy on the chopsocky, including some very delicious nuanced chopsocky wherein the offering of a glass of whiskey turns into a mini-fight/sparring session between Kwan and Cheung Tin-chi. She pours him a drink and whisks it across the table too fast, only to have him kick it precisely back to her, and they proceed to roll it around the table in a sort of display of tai chi push-hands, without spilling a drop. Engrossing stuff. It’s quite good fun, although, instead of subtitles, I would have preferred the usual Chinese-to-English dubbing and the incredibly bad voice-acting that accompanies it, which usually provides an unintentional comedic soundtrack of its own.